We are a custom woodworking business. We specialize in tables, desks, workbenches, and joinery wood tools. We make custom furniture to sell, and we can custom make an order for you. We do 95% of our work by hand utilizing the timeless hand tool techniques of old. From pine to beautiful hardwoods, we just enjoy woodworking. 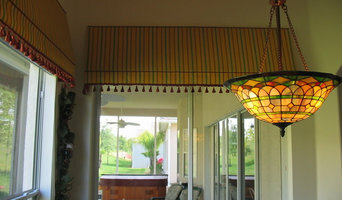 Hanks Upholstery is here to provide you with top quality upholstery work for all your needs. Our service and attention to quality is unmatched. Our experience and craftsman skills allow us to accept a wide variety of projects as well as provide help with the design and layout. 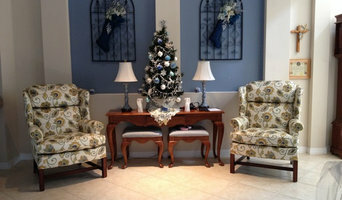 Anderson Upholstery & Brenda's Workshop is a workshop for custom upholstery needs in Lakeland, Florida. We create custom slipcovers, cushion work, and we re-upholster items. With over 40 years of experience, we've done just about everything there is to do with furniture, including antique pieces. Brenda is the only person in Lakeland capable of making our high-quality slipcovers. Home furniture repair companies in Winter Park, FL are in the business of rehabilitation; they repair, refinish, restore and reupholster broken — but beloved! — furniture. It is usually more cost-effective to repair furniture instead of buying new pieces, so whether you’re looking for leather couch repair services or custom upholstery, these professionals can take your furniture from broken to beautiful. Re-upholstery/upholstery repair includes redoing/outfitting items like chairs and sofas with springs, padding and fabric coverings. This can also include adding fringe, piping, tufting or additional decorative elements to a furniture piece. They can also advise you about the pros and cons of different fabrics so you can choose the best type for the project in your Winter Park home. Find Winter Park furniture repair professionals on Houzz. 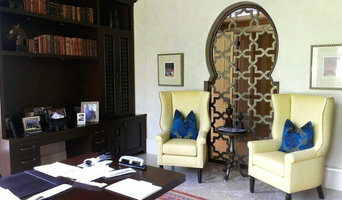 Narrow your search in the Professionals section of the website to Winter Park, FL furniture repair.